Start out doing a normal thread the needle. As you slide your arm down, instead of pulling the next arm back, leave it in front, and allow your hand to rotate the Poi as you slide it down. 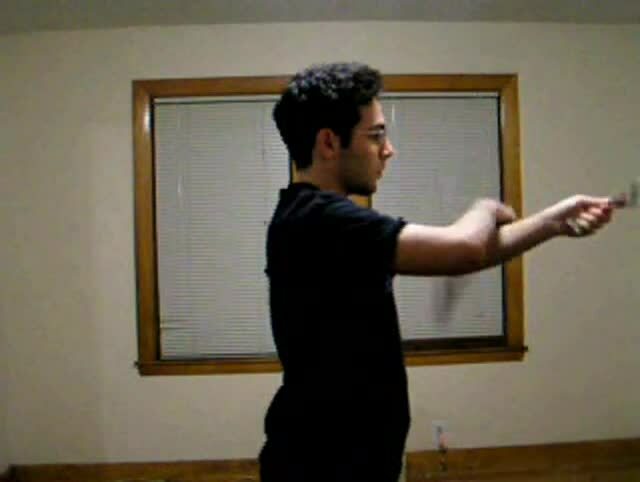 When your hands are next to each other, and the Poi are rotating outwards, withdraw the next arm and repeat. Continue alternating arms. Tips/Hints: The hand position is similar to that in a five beat weave. If you start to slide your hand down from a higher position, it gives you more time. Using the keywords [beat needle] we found the following similar topics.